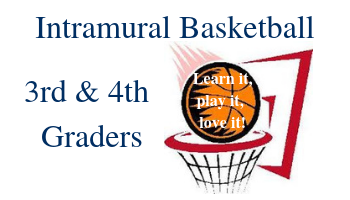 This is an instructional basketball program, the focus is on teaching the children how to play the game, sportsmanship, teamwork, competition, and enjoyment of the game. Games are played and there are playoffs at the end of the season but learning is the main goal. There is a girls league and a boys league. All 3rd and 4th graders in the Epiphany School and the Epiphany Parish are welcome to participate. HERE is the registration form, it is due on or before October 29th. The season begins on Saturday, November 17th, let the games begin!